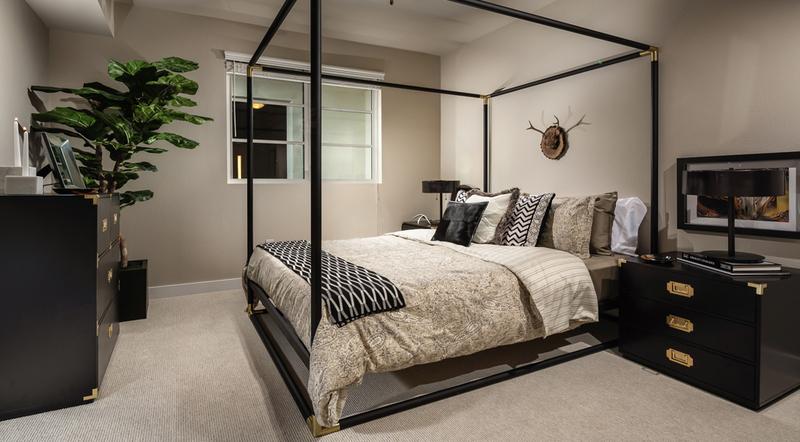 The Luxe is an urban residential gated community with a mix of 131 studios, one- and two-bedroom apartment homes and is a transit-oriented development with a Metro Gold Line stop only a few hundred yards away and a Metro bus stop at the nearby corner of Walnut and Allen. 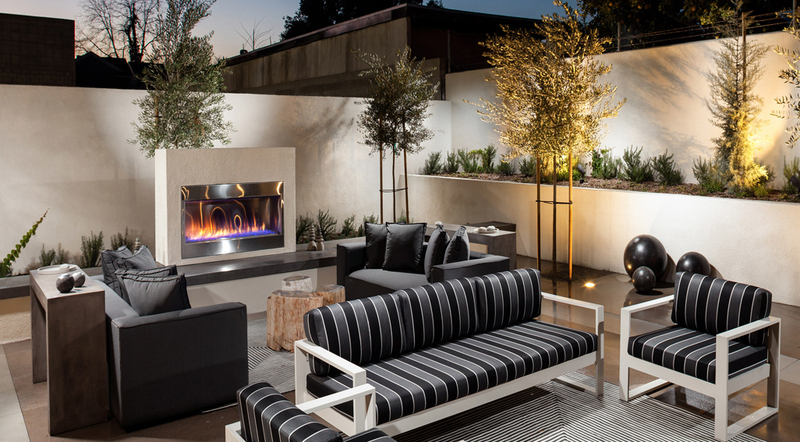 Luxe homes offer residents a balanced, urban lifestyle rooted in modern luxury. 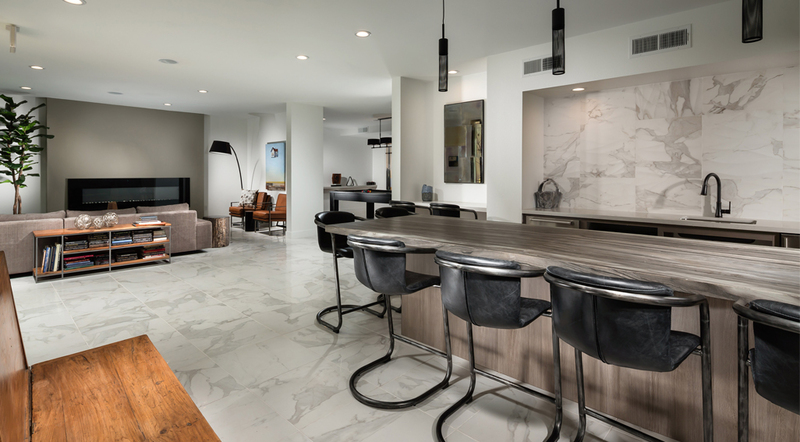 Apartment homes feature 12-foot ceilings (in some floor plans), glass mosaic tile backsplashes, modern wood-planked floors, European custom cabinets and designer lighting. 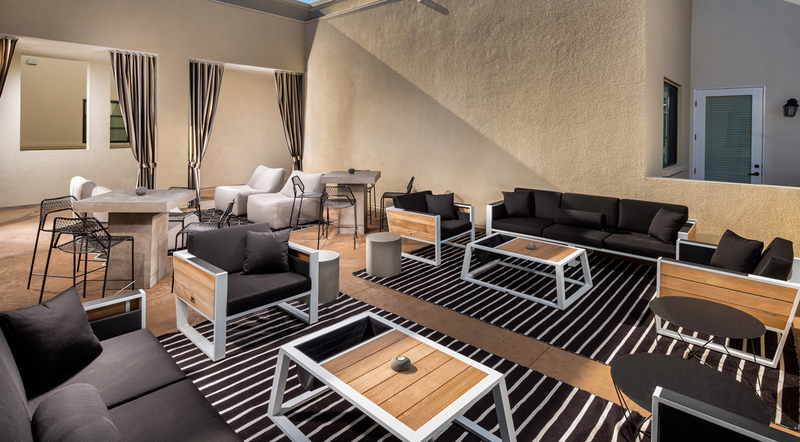 From a resort-style swimming pool to private courtyards to a gourmet outdoor kitchen with fireplace, every space has been curated to either provide a private refuge or a social hub. Multiple decks at The Luxe offer stunning San Gabriel Mountains views while giving residents easy access to Downtown Los Angeles, Hollywood, Glendale and beyond. 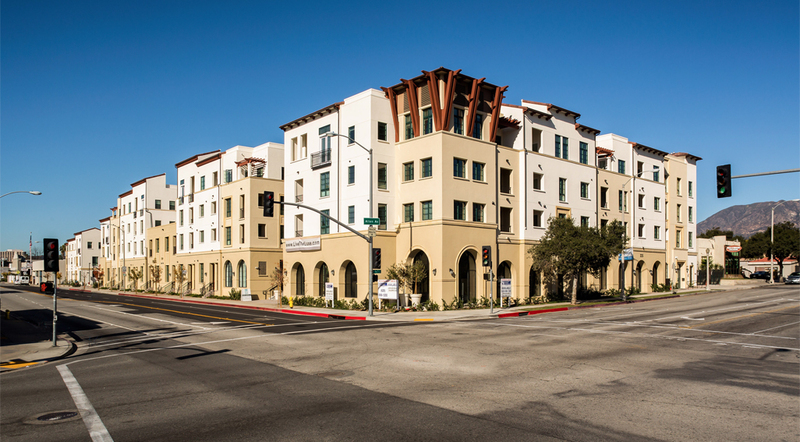 The Luxe was constructed with three- and four-story buildings, with three levels of residential (Type V Construction) over one level of on-grade parking and another level of subterranean parking (within a Type I garage) with a total of 229 parking spaces. 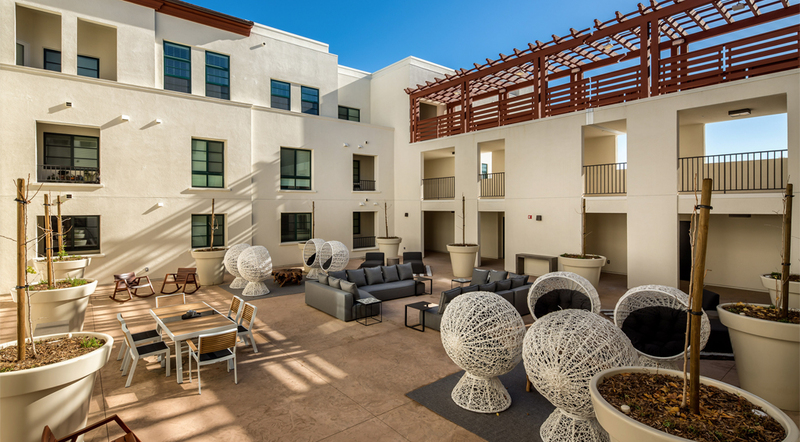 The Luxe complex was constructed with approximately 5,000 square feet of ground floor retail and courtyard areas serve as an indoor/outdoor neighborhood amenity for comfortable social interaction. 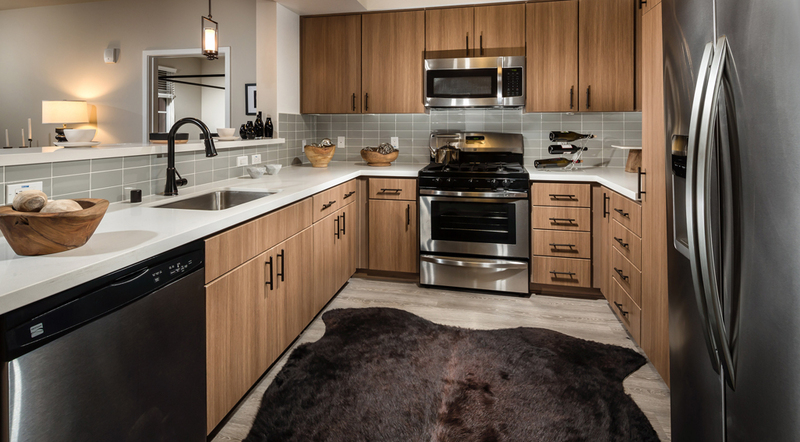 Residents can also relax at the on-site coffee bar and restaurant. 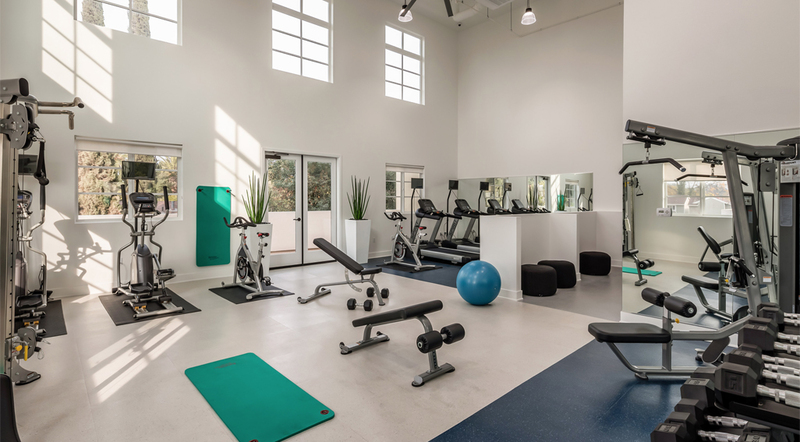 Residents with pets can take advantage of the on-site, self-service pet spa and specially designed pet walk/run area.